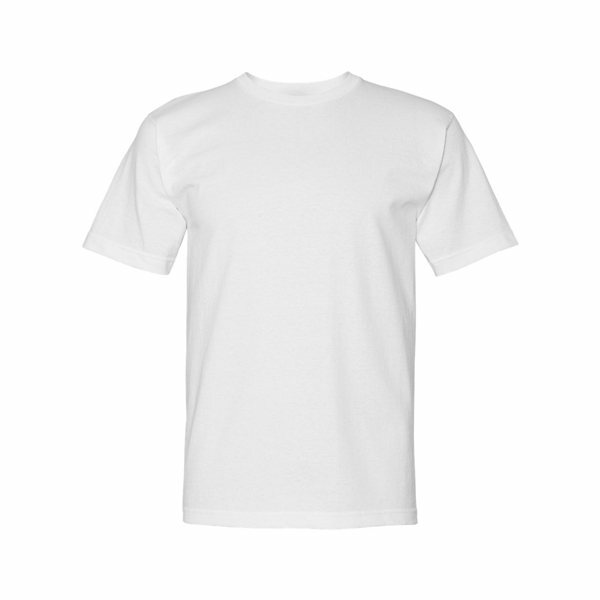 5.4 oz., pre-shrunk 100% cotton. Like it and love your company! I had no trouble with customer service. These were exactly the way we requested them to be made. Plus, they were shipped sooner than anticipated. Everyone who received this gift last week commented on the story behind it - thanks for an affordable item!